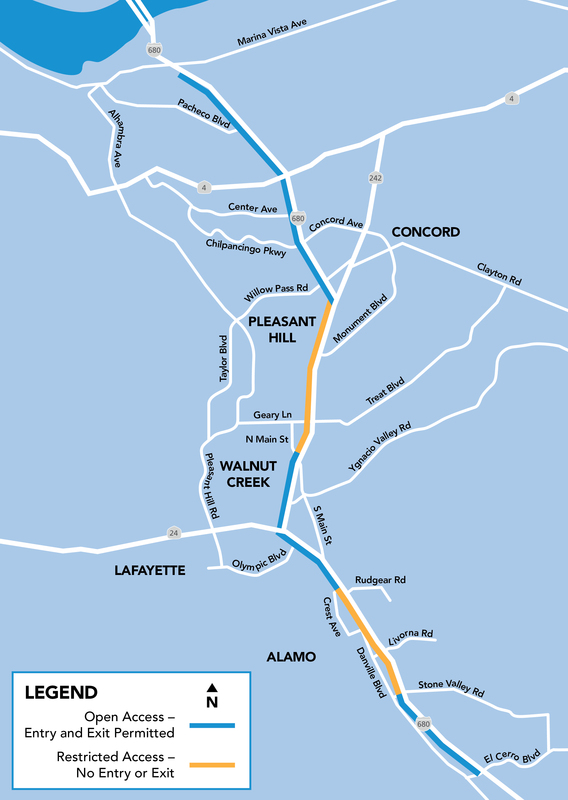 The Contra Costa Transportation Authority (CCTA), in cooperation with the Metropolitan Transportation Commission (MTC), the California Department of Transportation (Caltrans) and the Federal Highway Administration (FHWA), proposes to construct a total of 11 new miles of express lane on southbound I-680 from south of Marina Vista Avenue in Martinez to Rudgear Road in Walnut Creek. Of the 11 miles, eight miles of an existing HOV/Carpool lane will be converted to an express lane and the remaining three miles will be constructed as a new HOV/Carpool lane that will open as an express lane. 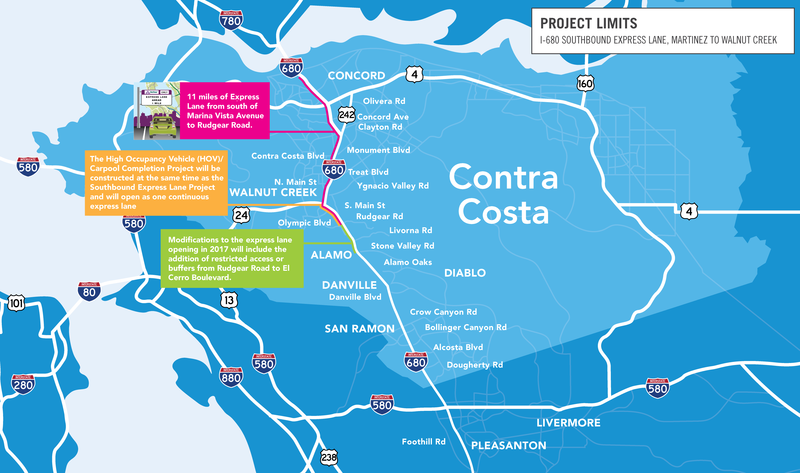 This lane will connect to MTC’s express lane between Walnut Creek and San Ramon providing 24 miles of continuous express lane in Contra Costa County between Martinez and the Alameda County line. This project is part of Plan Bay Area, MTC’s Regional Transportation 2035 Plan. Please see the Project Limits Map below. Express lanes are converted carpool lanes that provide travel choices for the motoring public, improving mobility and freeway operations. They remain toll-free to carpoolers and other eligible vehicles and are available to solo drivers for a fee. Bay Area highway traffic congestion ranks among the worst in the U.S. and is forecast to increase with future demand. Peak period congestion increases travel times and reduces highway speed and trip reliability. 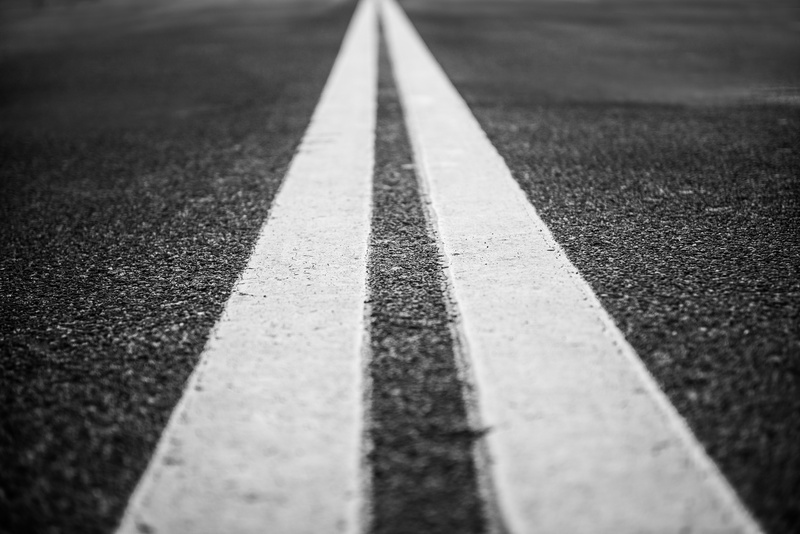 With limited right-of-way and resources to add roads, the region must look for ways to get the most out of the existing transportation system. 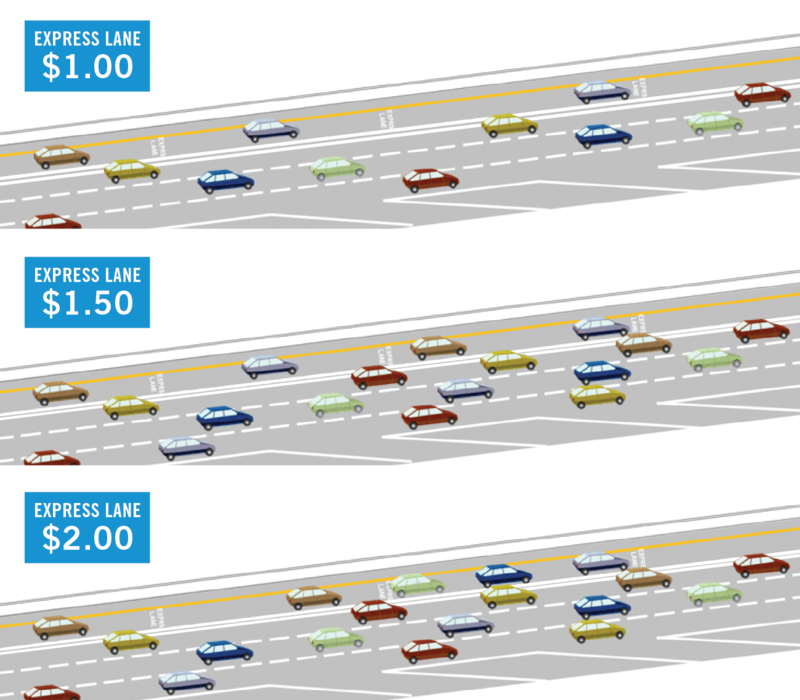 The hours of operation for the express lane and the HOV lane will match. Dashed Lines show where it is OK to enter and exit the express lane. All Vehicles must have a regular or FasTrak Flex® toll tag to drive in the express lane during hours of operation. 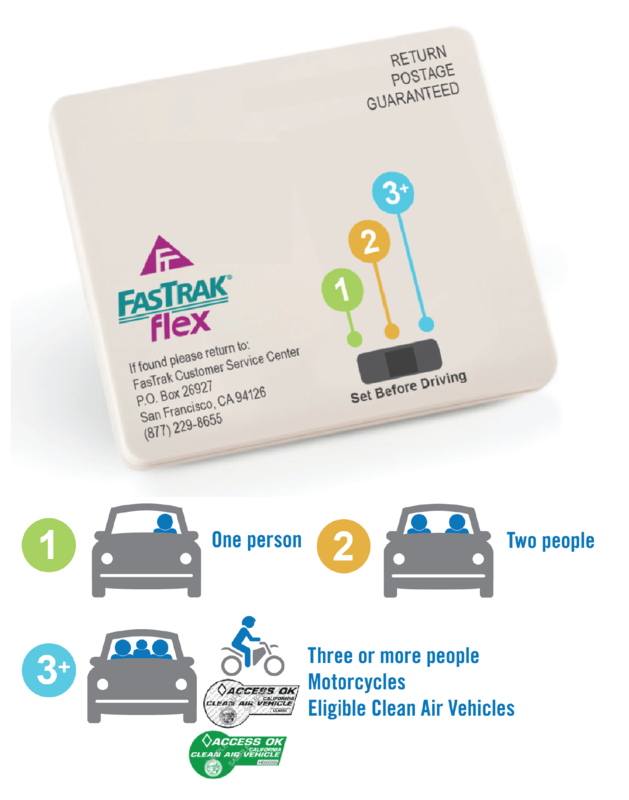 Carpools, vanpools, and other eligible vehicles with FasTrak Flex® travel toll-free. Carpool occupancy requirements may vary by lane. Pricing signs display the express lane toll for travel to specific destinations. Electronic toll tag readers automatically charge the appropriate tolls to a vehicle’s FasTrak account. A solid double white line shows restricted access area buffers where it is illegal to enter and exit the express lane. These access limitation improve traffic flow. 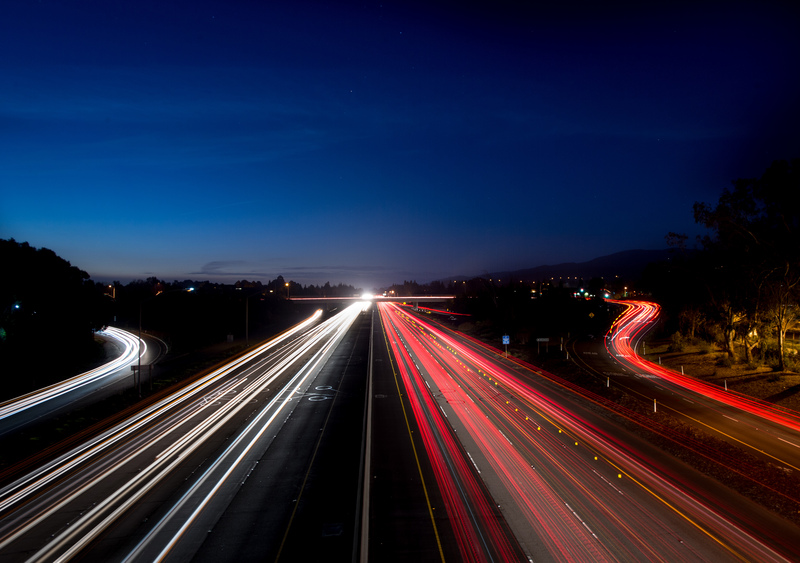 The 680 Southbound Express Lane Project, from Marina Vista to Rudgear Road, will cost approximately $110 million, including planning, design, construction, utilities and express lane toll system. 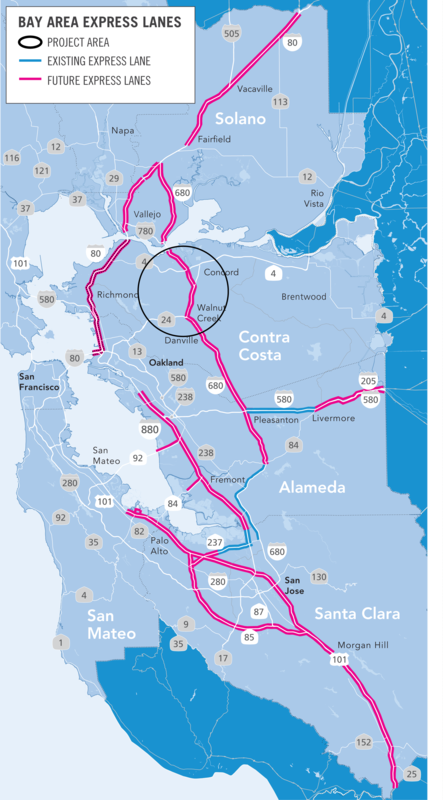 Project schedule may be impacted by other improvements planned in the I-680 corridor. Check the construction schedule for planned activities. 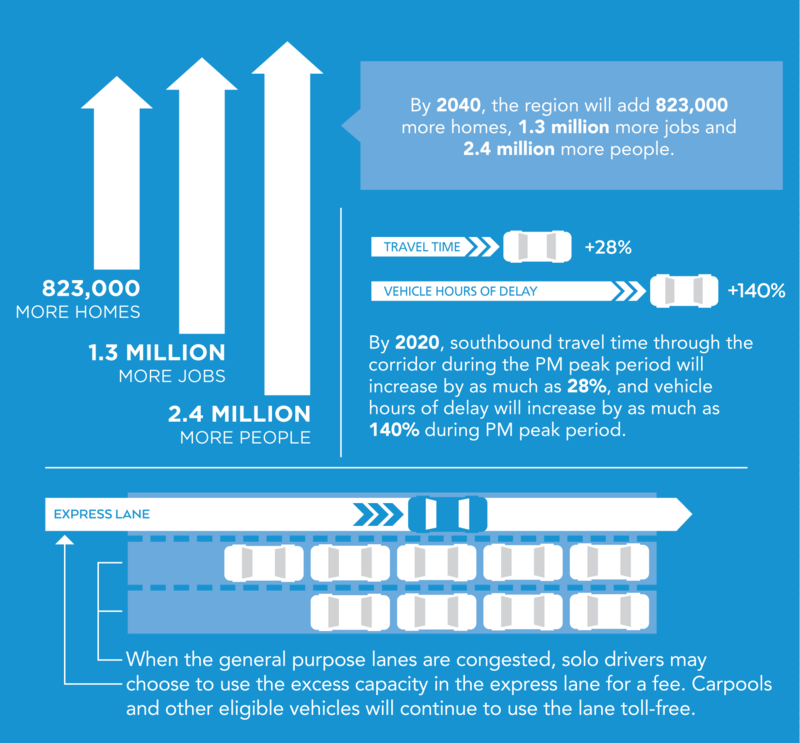 Tolls for solo drivers increase as express lane congestion increases. Traffic in the express lane will be managed to provide reliable express lane travel times. The express lane will allow mostly “open access” where motorists can freely move between the express lane and general purpose lane. 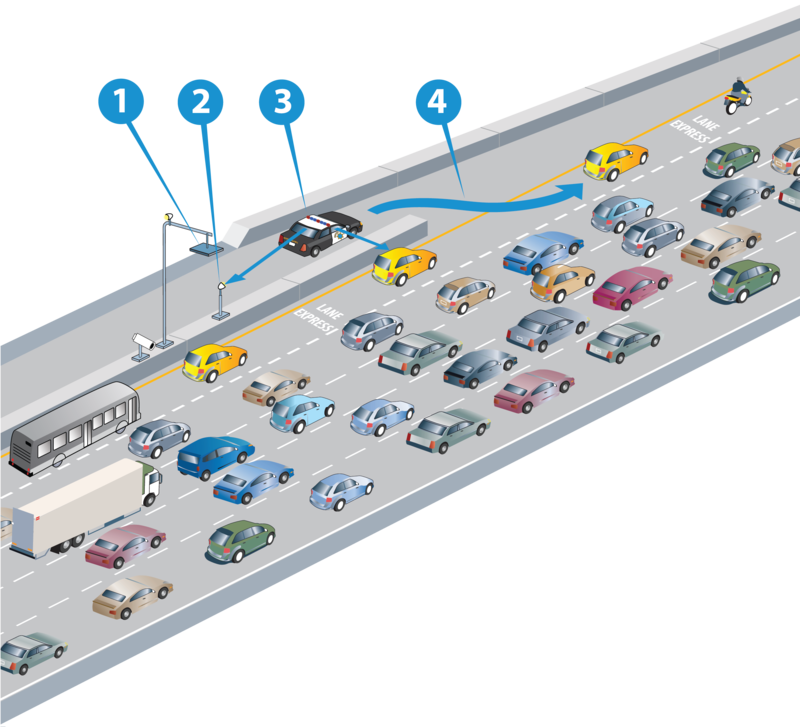 Where substantial merging into and out of the express lane is expected “restricted access” areas improve traffic flow, manage operations, and improve safety. A solid double white line indicates restricted access (also called a buffer), where merging in and out of the express lane is prohibited. Signs will notify motorists of restricted access. A solid double white line indicates restricted access (also called a buffer), which prohibits merging in and out of the express lane. 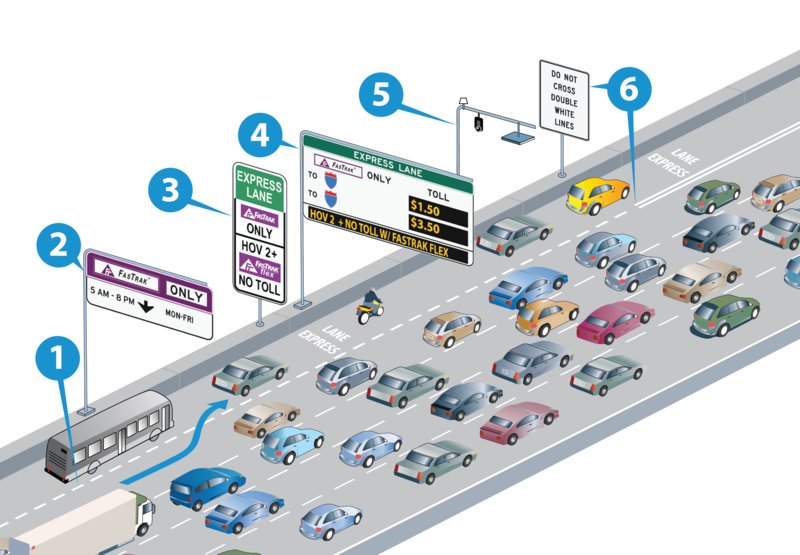 To travel in the express lane, all vehicles must have a FasTrak® or FasTrak Flex® toll tag. Carpools, vanpools, motorcycles and other toll free eligible vehcles must have a FasTrak Flex® switched to the proper setting to travel free. Before driving, move switch to show number of people in vehicle. Solo drivers can also use regular FasTrak® tags. Open a FasTrak® account online and receive a ready-to-use toll tag in the mail. Pick up at a participating Costco, Safeway or Walgreens location near you. Order by mail or pick your toll tag up at the Service Center.